My diet is forever evolving. While gluten-free is always a must since I’m allergic, I’ve had phases of vegan, vegetarian and pescatarian. Right now, you could call me a “Flex-itarian.” I do eat white meat, yet limit my dairy intake and continue to make vegan options the priority. 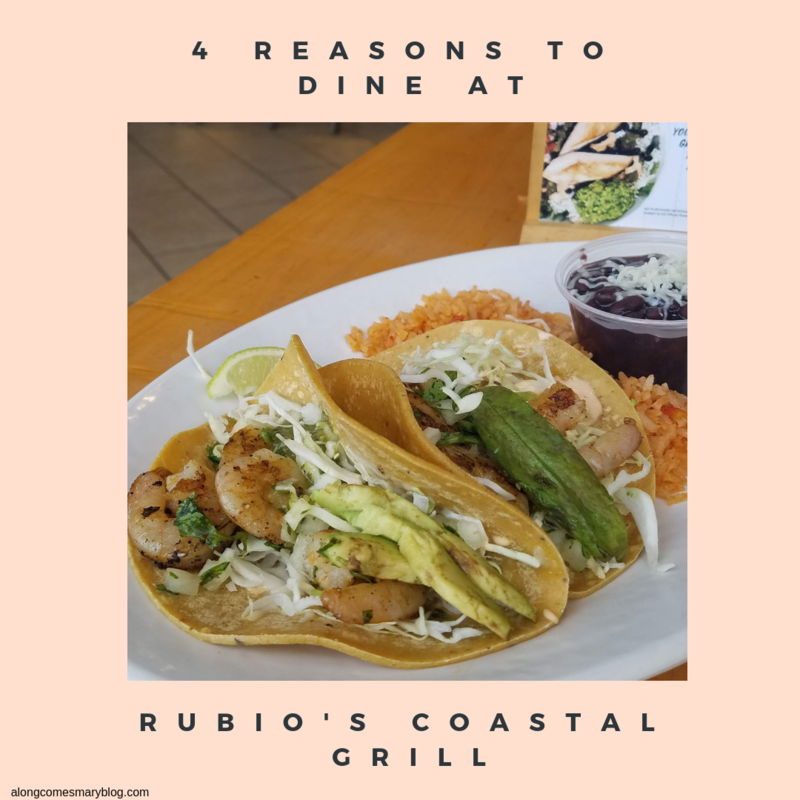 This is one of the reasons I love fast causal dining spots like Rubio’s Coastal Grill. At Rubio’s, you can enjoy such a wide range of healthful options including their seafood plates. I’ve been eating at Rubio’s since I moved back to LA nearly 10 years ago. Why do I love Rubio’s? Let me count the ways…. 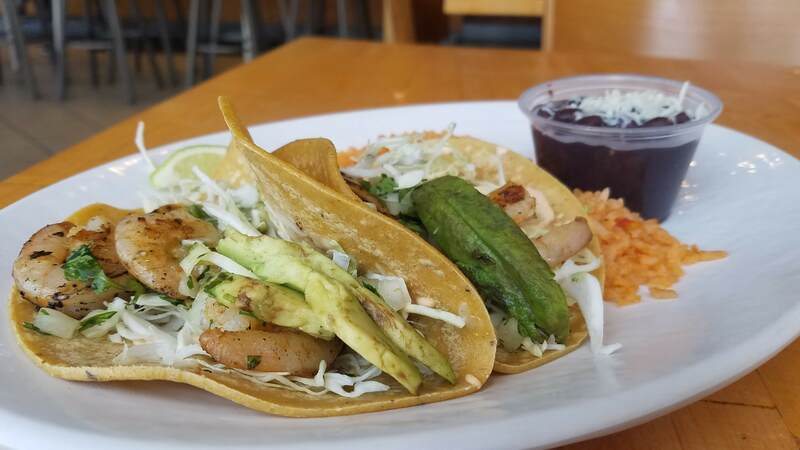 Founded in San Diego over 30 years ago, Rubio’s is known for being at the forefront in the Baja taco popularity that hit California back in the day. As a taco lover myself, it’s easy to see why. While my most favorite is always the salsa Verde shrimp, other taco combos like their mango mahi mahi and wild salmon tacos are also winners. While some of their taco plates default to a flour tortilla, I love that Rubio’s is always willing to substitute to make the order how you need it. If you haven’t joined their Beach Club, you can get a free taco sent to your email when you do. You’re welcome. When the American Heart Association (AHA) published its report that two servings of fish per week could significantly reduce the risk of heart attack and stroke, Ralph Rubio, co-founder of Rubio’s, knew his restaurants could help change guests’ lives for the better. to enjoy seafood a second time within the same week. congestive heart failure, coronary heart disease, ischemic stroke and sudden cardiac death, especially when seafood replaces the intake of less healthy foods. You gotta love a restaurant that offers its diners perks. With any purchase this Friday, March 22nd, and Saturday, March 23rd, get a complimentary order of their delicious guacamole and chips with this coupon. Just in time for National Chip and Dip Day! After you get your chips and guac on, visit Rubio’s again on April 4th as they celebrate National Burrito Day. With any drink purchase, customers can enjoy any of Rubio’s burritos at the generous price of $5. Just make sure to present this coupon. Thank you to Rubio’s for sponsoring this post. I cannot wait to take advantage of all these incredible offers and enjoy a meal made from authentic Baja recipes. Check out their website HERE and find a location nearest you.